Blue and white are a match made in color heaven. I love anything with white jeans but these blue tops just really pop. And they are both under $50 + the jeans and earings too! No Kidding! The Tory… well thats on my Birthday list! 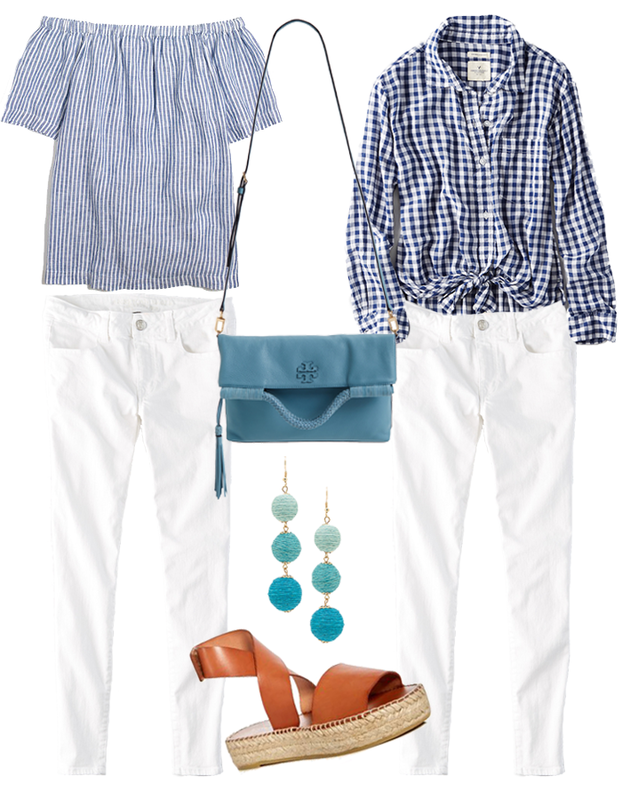 I LOVE that gingham top!